Gloucester City Councilor Sefatia Romeo-Theken leans back and laughs after shouting "Viva Jesus Maria Giuseppe!" 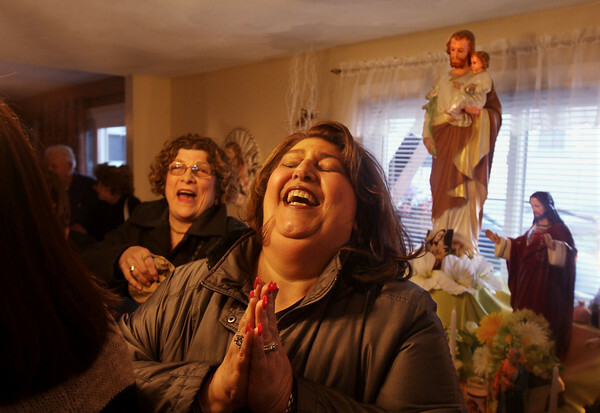 at a St. Joseph's Day gathering Tuesday at Mary Ann Orlando's home on Prospect Street in Gloucester. Orlando's home was one of more than a dozen stops on a trolley tour of traditional Italian homes in Gloucester.